Parallel rule with degree markings. Crystal clear plastic. Equipped with cork friction pads to prevent slipping while in use. Hinges made of corrosion-resistant metal. 5mm thickness. With hidden ID window. Woven strap with high impact side-release buckle. Helps to easily identify your luggage. ID window on inside of strap. Prevents accidental opening. 2" strap provides better protection for zip pulls. Strap adjusts from 40" to 80". Polarized adapter plugs for foreign travel. Four 2-pin polarized adapters to be used with converters and dual voltage appliances. Great Britain - For use in Great Britain, Ireland, Hong Kong, parts of Africa and the Caribbean. Europe - For use in Europe, Middle East, parts of Africa, Asia, South America, China, Tahiti and the Caribbean. South Africa - For use in South Africa and parts of India. 2-in-1 Australia and N/S America - For use in Australia, New Zealand, South Pacific Islands, Philippines, North and Central America and parts of China, South America and the Caribbean. Travel pouch included. See enclosed instructions. Does not convert voltage. Alberta Birds folding pocket guide. Alberta is the permanent or migratory home of over 400 species of birds, including the provincial bird – the great horned owl. This beautifully illustrated guide highlights over 140 familiar and unique species and includes an ecoregion map featuring prominent bird-viewing areas. Laminated for durability, this lightweight, pocket-sized folding guide is an excellent source of portable information and ideal for field use by visitors and residents alike. Alberta Trees & Wildflowers is the perfect pocket-sized, folding guide to familiar trees, shrubs and wildflowers. This beautifully illustrated guide highlights over 140 familiar species and includes a map featuring prominent province-wide botanical sanctuaries. Laminated for durability, this handy guide is a great source of portable information and ideal for field use by novices and experts alike. Alberta Wildlife is the perfect pocket-sized, folding guide for the nature enthusiast. The beautifully illustrated guide highlights over 140 familiar species of birds, mammals, reptiles, amphibians, fishes and insects and includes a map featuring prominent province-wide wildlife sanctuaries. Laminated for durability, this handy guides is a great source of portable information and ideal for field use by novices and experts alike. AquaSeal Map Sealer - waterproof your maps. Aqua Seal is a permanent waterproofing agent that helps to also reinforce paper products. With this product you can waterproof your topographic maps, road maps, marine charts and more. 8 ounces. One bottle will coat approximately 6 to 8 topographic maps. Bahamas Fish ID Card. These fish cards are made on stiff laminated plastic with a hole for a lanyard. Take it snorkeling or scuba diving with you! Size of these Fish Cards are 6" x 9". Banff National Park field guide. Banff National Park Wildlife is the perfect pocket-sized, folding guide for the nature enthusiast. This beautifully illustrated guide highlights over 130 familiar species of birds, mammals, trees and wildflowers and includes an area map of the park. Laminated for durability, this handy guide is a great source of portable information and ideal for field use by novices and experts alike. BC and Alberta Raised Relief Map. This is a plastic 3D map covering British Columbia and Alberta. Bees & Other Pollinators pocket guide. About 75% of the crop plants grown worldwide depend on pollinators – bees, butterflies, birds, bats and other animals – for fertilization. Bees alone are responsible for pollinating more species of plants on earth than any other animal. And yet bee populations have severely declined in recent years due to diseases, parasites, pesticides and habitat loss. This fascinating guide reviews the status of the world's top pollinators, how they are built, behave and reproduce in the wild and in managed colonies. It also highlights some of the most familiar and unique species and what you can do to help conserve and protect these important creatures. This convenient guide is an ideal, portable reference for bee-lovers and teachers alike. Bora Bora French Polynesia Fish ID Card. These fish cards are produced on stiff laminated plastic with a hole for a lanyard. Take it snorkeling or scuba diving with you! Size of Fish Cards are 6" x 9". Bugs & Slugs folding pocket guide. A Folding Pocket Guide to Familiar North American Invertebrates. This beautifully illustrated guide describes bees, ants, beetles, butterflies, moths, flying insects, grasshoppers, cicadas, true bugs, spiders, household insects, freshwater invertebrates and more.. Laminated for durability, this lightweight, pocket-sized folding guide is an excellent source of portable information and ideal for field use by visitors and residents alike. Calgary Birds pocket guide. The familiar magpie is one of over 200 of species of birds inhabiting the diverse ecosystems found throughout the Calgary region. This beautifully illustrated guide highlights over 140 familiar and unique species and includes a map featuring prominent bird viewing areas. Laminated for durability, this lightweight, pocket-sized folding guide is an excellent source of portable information and ideal for field use by visitors and residents alike. Three sew-on Canada Flag Patches. Washable and colourfast. Sew on any fabric. Use on tents, backpacks, jackets or hats. Sizes: 1" x 1 3/4", 1" x 1 3/8", 2" x 3 3/4". Canada Luggage Tag. This durable plastic luggage tag has a Canadian flag on the front and allows space on the back to write your name, address, city, province/state, and postal code on the reverse. Ideal for both visitors and city dwellers alike, this guidebook lets you organize things you want to keep for future reference or for your records such as the names and addresses of restaurants, shops, friends, hotels, or tourist sites. The Key Map summarizes the overall layout of the city, including large-scale maps of the city centre, an alphabetical street index, and map of the metro system. Bon voyage with Moleskine City Notebooks, the first guidebook you write yourself. Also includes a 6" ruler. Dinosaur laminated pocket guide. Dinosaurs is a simplified reference guide to the main types of dinosaurs and how and when they evolved to become the dominant land animal on Earth for over 100 million years. This beautifully illustrated guide highlights over 40 familiar species and includes a map on the world's dinosaur finding hotspots. Also includes detailed information on familiar post-cretaceous species including saber-toothed cats and mammoths, how fossils are preserved and where and how to hunt for them. This convenient guide is an ideal, portable source of practical information for naturalists of all ages. This Douglas Square Protractor is custom made by Hammond Aviation for training and navigational purposes. Use this 5″ x 5″ Douglas Protractor for all your chart navigation needs. Relieves pressure on the eardrum. Works naturally using exclusive Ceramix filter. Recommended for cold and allergy sufferers and those prone to air pressure changes. One pair of EarPlanes is good for two flights. Edible Survival Plants of the Rocky Mountains is a simplified guide to familiar and widespread species of edible berries, nuts, leaves and roots found in North America. This beautifully illustrated guide identifies the most familiar plants and includes information on how to harvest and prepare their edible parts. It also includes a section on dangerous, poisonous and contact-poison plants to avoid while harvesting. Laminated for durability, this lightweight, pocket-sized folding guide is an indispensable source of portable information and ideal for field use by hikers and campers of all ages. Some wild edible plants have poisonous look-alikes, and it is important to know the difference when harvesting. Edible Wild Plants is a simplified guide to familiar and widespread species of edible berries, nuts, leaves and roots found in North America. This beautifully illustrated guide identifies over 100 familiar species and includes information on how to harvest their edible parts. It also includes a section on dangerous poisonous plants to avoid that have contact poisons that can blister skin. This convenient guide is an ideal, portable source of practical information and ideal for field use. Emergency First Aid pocket guide. Emergency First Aid is a pocket-sized, folding reference guide on how to recognize and respond to common medical emergencies. It will allow the user to check for vital signs and assess the severity of medical emergencies and when to call for help, how to care for victims until medical help arrives, or what to do if a situation requires immediate response (e.g., choking, emergency childbirth). In an emergency, it will quickly and simply instruct you of what you can do to help. Laminated for durability, this lightweight, pocket-sized folding guide is an excellent source of portable information. Take a photo of any page in this book with the Evernote app and its content instantly becomes digital so that you can save it, search it and share it with the world. Evernote Journals have a flexible, heavy-duty cardboard cover that can be customized and decorated. In Kraft Brown with visible stitching on the spine, 16 detachable sheets and a back pocket for loose notes, it’s a lightweight paper companion for studies, trips and daily writings. Take a photo of any page in this book with the Evernote app and its content instantly becomes digital so that you can save it, search it and share it with the world. Evernote Journals have a flexible, heavy-duty cardboard cover that can be customized and decorated. In Kraft Brown with visible stitching on the spine, 16 detachable sheets and a back pocket for loose notes, it's a lightweight paper companion for studies, trips and daily writings. Fishing in Alberta trifold. Co-authored by experts Dr. Sean Rogers and Matthew J. Morris, this guide highlights 54 fish species that are native to Alberta and 16 species that have been introduced to the province. This beautifully illustrated guide provides descriptions on fish anatomy, a key to identifying field marks of each fish, a watershed map and notes on conservation status. It also features a QR code for more information on the status of each species. Laminated for durability, this lightweight, pocket-sized folding guide is an excellent source of portable information and ideal for field use by novices and experts alike. 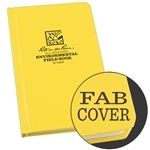 Geology is the perfect pocket-sized, folding guide for the nature enthusiast. The guide simply explains geological processes, the differences between rocks, minerals and gemstones, the most common types North American rocks and minerals and the best rockhounding locations. It also reviews the most common North American fossils and the tools an amateur geologist should take into the field in order to positively identify different types of rocks and minerals. Laminated for durability, this handy guide is a great source of portable information and ideal for field use by novices and experts alike. 6 themed sections to fill in, food calendars, food facts,measures and conversions, tabbed sections and 242 adhesive labels for personalizing your journal 13 x 21 cm, 240 pages, acid-free paper, double expandable inner pocket. 6 themed sections to fill in, wine glossary,measures and conversions, tabbed sections and 202 adhesive labels for personalizing your journal 13 x 21 cm, 240 pages, acid-free paper, double expandable inner pocket. - 20 Coaster notes including space for wine characteristics, tasting notes and labels. Grasslands Wildlife pocket guide. The ubiquitous ground squirrel is one of thousands of species of animals inhabiting the diverse ecosystems found throughout the grasslands region. This beautifully illustrated guide highlights over 140 familiar and unique species of mammals, birds, reptiles, amphibians and butterflies and insects. Includes a map featuring prominent wildlife viewing areas. Laminated for durability, this lightweight, pocket-sized folding guide is an excellent source of portable information and ideal for field use by visitors and residents alike. Grounded adapter to be used with converters and 2 or 3 pin dual voltage appliances. For use in Great Britain, Ireland, Hong Kong, parts of Africa and the Caribbean. Does not convert voltage. Grounded adapter to be used with converters and 2 or 3 pin dual voltage appliances. For use in Europe, Middle East, parts of Africa, Asia, South America, China, Tahiti and the Caribbean. Does not convert voltage. Grounded adapter to be used with converters and 2 or 3 pin dual voltage appliances. For use in Asian Continent, Middle East and parts of Africa, Caribbean, Central and South America. Does not convert voltage. Grounded adapter for use with most converters, transformers and 2 and 3 pin dual voltage appliances. If you are traveling with your 100/120/240V laptop, then only the grounded adapter is needed for the specific country. If you are traveling with your hairdryer, you'll also need a converter. If you are traveling with a printer/fax, you'll also need a 1-100 watt transformer. For complete information and electricity guide go to www.austinhouse.com. Grounded Adapter Plug for Australia and New Zealand. Grounded adapter to be used with converters and 2 or 3 pin dual voltage appliances. For use in Australia, New Zealand, South Pacific Islands and parts of China. Grounded adapter to be used with converters and 2 or 3 pin dual voltage appliances. For use in South Africa and parts of India. With safety circuit. 1-25 and 50-1875 Watts. Converts foreign electricity, 220/240 V, to North American, 110/125V current. Step down combination transformer/converter with safety cut-off circuit. Includes 4 adapter plugs to be used in Great Britain, Ireland, Hong Kong, parts of Africa and the Caribbean, South Africa and India, Europe, Middle East, Asia, South America, China, Tahiti and the Caribbean, Australia, New Zealand, South Pacific Islands, parts of China, North and Central America, Philippines and parts of the Caribbean and South America.